A rendering of the planned secure psychiatric facility. 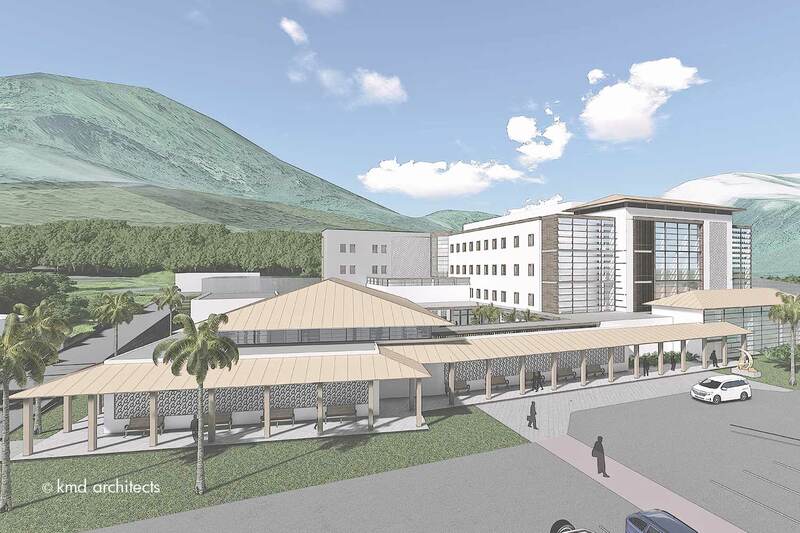 Started construction of a new Hawai‘i State Hospital facility – In August 2018, Governor Ige, legislators and state officials broke ground for a new 144-bed secure forensic psychiatric facility to improve mental health care in our community. Prevention of opioid misuse – A Hawai‘i Medication Drop Box program has been launched at police stations statewide for safe disposal of unused prescription medications. 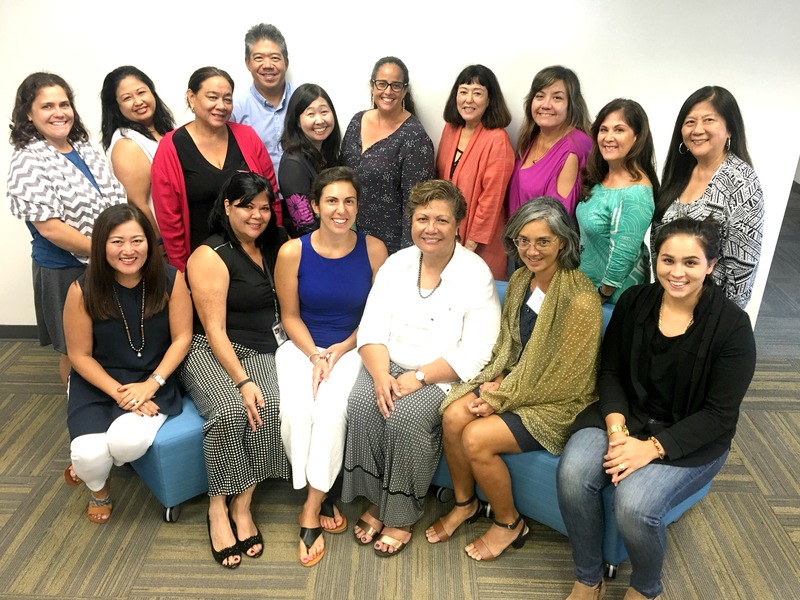 The ‘Ohana Nui “engineers” are staff members from DHS and DOH leading the way to transform how services are provided to children and families. 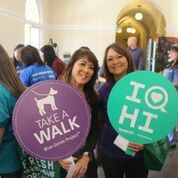 Helping families with ‘Ohana Nui – The Department of Human Services is applying its multi-generational, ‘Ohana Nui approach, resulting in better outcomes for families. One example is DHS’s creation of a navigator program to help families and individuals with complex needs access DHS services. The approach also prioritizes the needs of young children to ensure they aren’t exposed to adverse childhood experiences. 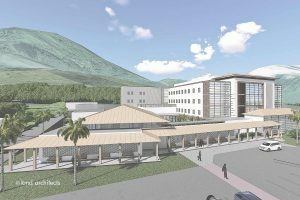 OCCC and other jail improvements planned – The Ige administration’s plan includes moving the O‘ahu Community Correctional Center to Halawa Valley and expanding the Women’s Community Correctional Center in Kailua. A final environmental impact statement was completed to relocate OCCC and improve conditions in a new facility. Successful legal action protects consumers – Settlements by the Department of Commerce and Consumer Affairs, working with the state Attorney General, have benefited Hawai‘i residents and deterred other businesses from illegal, deceptive conduct. 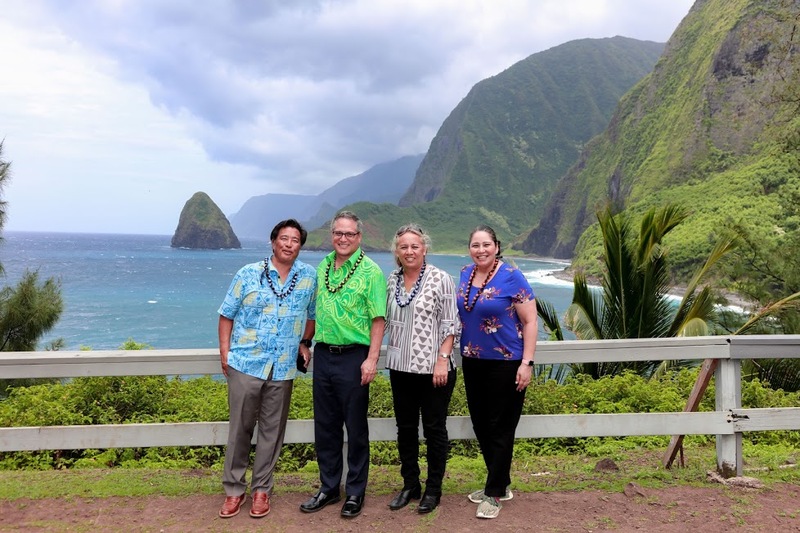 – New WiFi hotspots — from Moloka’i’s remote Kalaupapa area to community gathering places — are available statewide, thanks to a DCCA agreement with Spectrum. 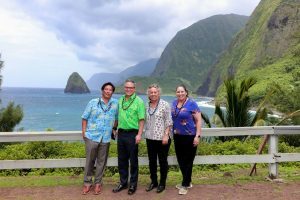 DCCA director Catherine Awakuni (far right) and other officials made the trip to Kalaupapa. DCCA designates free WiFi in underserved areas – New WiFi hotspots are available on several islands as part of a DCCA requirement of Spectrum/Oceanic Time Warner Cable to provide 100 new public spots with one hour of free service per device per day. DCCA celebrates being named a Blue Zones Certified worksite. First Blue Zones Certified Worksite – DCCA became the first State of Hawai‘i department and one of only 11 worksites nationwide to be a fully certified Blue Zones worksite. The Blue Zones Project aims to create healthier lifestyles and a more productive workforce. Read more in the January Capitol Connection newsletter.